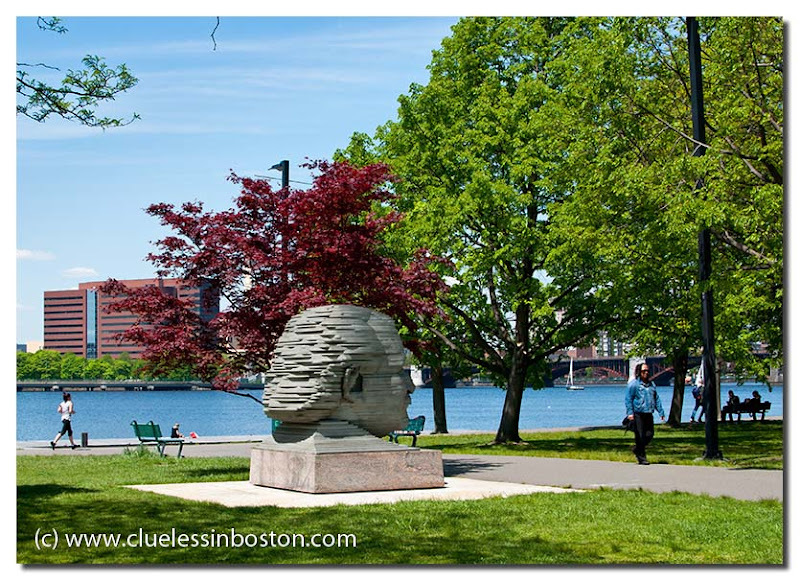 Arthur Fiedler statue on the Esplanade by the Charles River. What an interesting statue and a great sky!! A lovely tribute to an amazing musician, one who left his imprint on many in Boston and around the world. Keith Lockhart had some big shoes to fill when he stepped into the job as a "youngster" - Bravo, Keith! Well, how could I have forgotten about John Williams - duh! whose shoes were perhaps even larger! Great shot of a much loved Bostonian!